According to sahara. 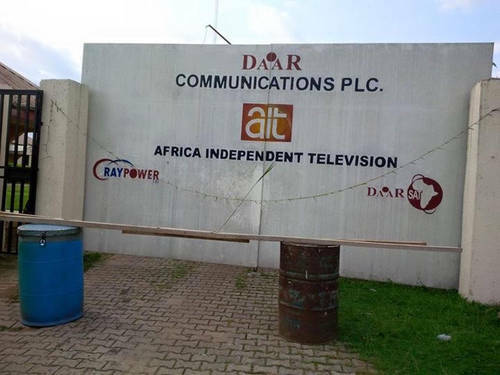 Angry workers barricaded the entrance of the station with drums and other items in order to cripple the activities of both the local radio station of 106.5 and Africa independent Television station. Customers had to turn back because they could not access the premises along NTA- Choba road in Port Harcourt, Rivers State. Barri Peremougu, Southern Director of station, was almost lynched by the angry workers according to witnesses at the scene. Not paying workers is a common trend among media houses in Nigeria. Daar Communications continuously denies workers pay despite the huge amounts earned in commercials. In the last session of general news every segment of news was commercialized. There ihas been no explanation given by management for the cause of back-pay to employees.